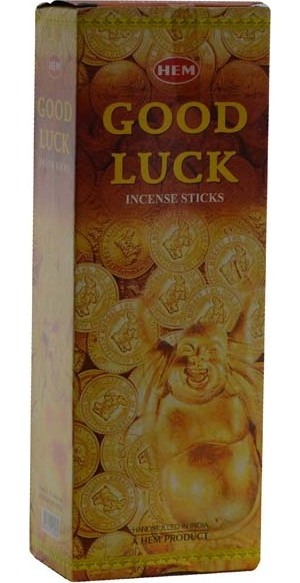 Good Luck Incense Sticks by HEM are a very nice resin rich blend with just a hint of floral notes to soften the scent a bit. Wonderful for everyday use as well as rituals or spells intended to help bring positive changes. Made by Hem, one of India's leading incense makers. 10" long incense sticks, 20 gram box apox. 20 sticks. Hand rolled in India.